Why buying a bike in this showroom could be your best decision..
Shabeel Honda, in Mudichur, is a rapidly growing high tech two wheeler dealership who are certified 4S dealers for Honda two wheelers. Why 4S?, because 4S means sales, service, spares and safety. The company has a state of the art Showroom and sales with a display of over 24 different bike and scooter models and over 37 variants from the big brand Honda. Starting operations roughly 4 years back, the company services cumulatively over 8000 bikes per year and sells roughly over 3000 two wheelers annually. Shabeel Honda had a grand launch of their new expanded showroom on the 11th of October, 2017. The new showroom sprawls over 12,000 sq.ft and three floors, each built with separate areas for sales, service, spares and safety respectively. The grand launch event was attended by Honda’s top officials from the country, none other than Honda’s divisional head Shri. Yogesh Mathur, Regional Manager Shri. Saravjeet Chauhan, Zonal Manager sales,Mr. Sachin Pawar, Zonal manager service, Mr. Gorakhnath Bhosale. 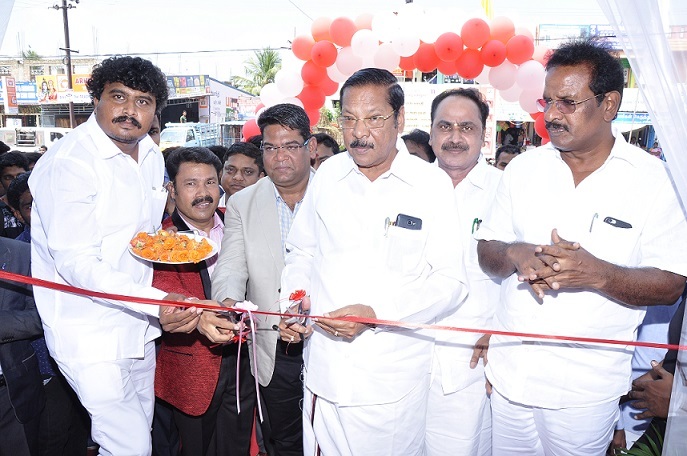 Notable political figures who graced the function include, none other than Shri. R.S Bharathi MP, and the following well respected MLA’s namely Shri Anbarasan, Shri Subramaniyan, Shri SR Raja, Shri Thayagam Ravi and Shri Aravind Ramesh. The event was graced by a few popular small screen artists and also a few cinema celebrities. Interestingly, the launch event also had BS Abdur Rahman University, Vandalur participating actively with over 200 students for a free engine workshop held by the company to train students of automobile engineering completely for free. The engine workshop was inaugurated by Prof Subramani, HOD of the Automobile Engineering department. Shabeel Honda announced a formal MOU and tie up with the department to promote academic activities and train students in two wheeler mechanics. Shabeel Honda as a company is well known for their phenomenal customer service in the local area. Their online reputation, customer service, follow up and general attitude towards new customer seems to be among the best in the Chennai city. Shabeel Honda also has committed on achieving a 100% customer satisfaction index by the end of 2018. The company has planned over 55 offers and 34 events for the next financial year. Shabeel Honda also plans to expand and offer their services to Padappai,Sriperumpudur etc..
With Diwali around the corner, and two wheeler purchases soaring through the roof be sure to visit this amazing place if you are planning to buy a Honda two wheeler.